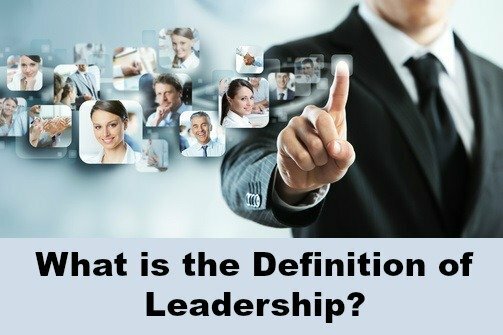 There is much discussion on the definition of leadership and there are many different definitions and descriptions one can refer to. In fact the debate around defining leadership and leadership traits seems endless. However most people agree that leadership involves an influence process, so here we use a broad definition that encompasses many of the current approaches to the concept of leadership. "Leadership is the ability to influence a group towards the achievement of goals"
Leadership is not a "one size fits all" approach but a matter of adapting your approach to best fit a specific situation, follower or group. Although an individual will have a basic leadership style a good understanding of the common styles of leadership allows the development of the style of leadership that effectively fits the circumstances. authoritarian leadership - tells followers what to do and how to do it without input from others. Keeps close control over followers. This can be appropriate if the followers are inexperienced and lack confidence (new employees) and when explicit instructions and quick decisions are required such as in times of crisis or where time is critical. participative leadership - includes followers in the decision-making process but makes the final call. Encourages discussion and debate. It is effective when followers are skilled and confident, willing to share knowledge and there is sufficient time for a democratic process to take place. delegative leadership - allows the follower to make the decision but maintains responsibility for the decisions made. Delegates tasks to followers and provides direction or support only when asked. This style is appropriate when followers are highly skilled, experienced, secure and motivated and have proven to be reliable and trustworthy. Transactional leaders guide their followers towards established goals by clarifying role and task requirements and providing structure. Motivation is provided through a system of reward and punishment. These leaders pay close attention to the concerns and needs of individual followers. They motivate and encourage followers to make the extra effort to achieve group goals by inspiring passion and commitment. Leadership Definition - What makes a Good Leader? The answer to this question lies in the identification of the most important leadership skills, characteristics and traits. However it has proved difficult to conclusively establish the traits that characterize leaders. Instead leadership research has sought to identify the behavioral styles that leaders exhibit. The primary behaviors identified are initiating structure through organizing work tasks, work relationships, work standards and work goals and demonstrating consideration by showing concern for followers' well-being and satisfaction, developing mutual trust and respecting subordinates. What are your Strengths and Weaknesses as a leader? Not all leaders are managers and not all managers are leaders. The definition of leadership differs from the definition of management. What Makes a Good Manager? A genuine leader is not a searcher for consensus but a molder of consensus - Martin Luther King, Jr.
What is the concept of leadership? Leadership is a much debated concept but the definition of leadership generally includes the keywords influence, vision, inspire and achieve. It will assist you with defining what it means to be a manager and handling manager interview questions confidently.